There are many reasons why you might want to sell your home. Whether or not you plan to sell your home now, in the future, or maybe you don’t have any plans at all, you’ll still want to pay attention to your home’s curb appeal as it can improve the perceived value of your property. Curb appeal is the attractiveness of your home from the street. Before anyone walks into your home, they can look at it from the outside and decide whether or not it is worth their time to explore. Curb appeal is the first impression someone has about your house. You want to make a good first impression in order to get the best value from your home, and a beautiful yard is the perfect way to do that. How Much a Well Kept Yard is Worth? Although estimates very, some experts say that a well-landscaped yard can add ten to fifteen percent to the value of your home. Although these values reflect all landscape design, there is no denying that green grass and a high quality landscape can improve home values. A beautiful lawn can even cut down on the time that the house is on the market. 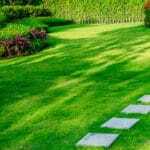 A healthy, green lawn can make a profound difference in your ability to sell your home for more. 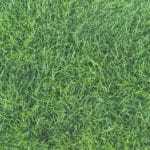 The grass is healthy with no brown or yellow spots caused by fungus or pests. You will also want to eliminate weeds from your lawn as they can be unsightly and do extensive damage to your grass. 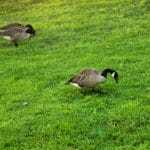 You will want to make sure that the grass is a bright green. 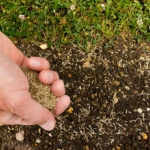 All of these will ensure that your grass – and your property – is seen as high quality and valuable. What if You Want Curb Appeal too? Curb appeal is an important part of building value on your property, and at Green Lawn Fertilizing, we have the tools and expertise to make sure that your home looks its best. Green Lawn Fertilizing can help you on your road to a great first impression. Call us today at 888-581-5296 for a free estimate. Receive 2 FREE surface-feeding insect control applications when you sign up for a 8 application lawn program. For new programs only.